﻿ Grimes Flying Lab Museum - Ohio. Find It Here. Located at Grimes Airport in Urbana, Grimes Field is the legacy of Warren Grimes, "Father of the Aircraft Lighting Industry." At the age of 15, Grimes ran away from his orphanage home in Tiffin, Ohio, to work for Ford. Eventually he left Ford to design lighting fixtures. 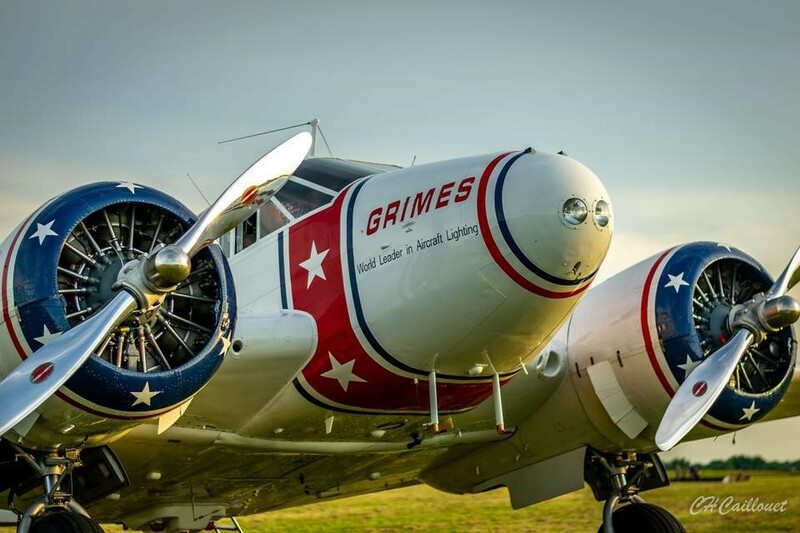 Impressed with Grimes work Henry Ford approached him in the mid 1920s to design new lights for the Ford Tri-Motor Airplane. 48 hours after the request, Grimes produced the light Ford wanted and "the rest is history." In 1930, Grimes returned to Urbana with a plan to market his design to Waco Aircraft in Troy, Ohio. Waco found his lights to be superior, and from 1932 to 1942 Grimes company grew from 20 employees to 1300.In the 1930s Mr. Grimes purchased a farm just north of Urbana. On August 8, 1943, opening ceremonies were held in front of a large crowd and Mr. Grimes presented Grimes Field to the City of Urbana.Grimes company operated the airport until 1987, when operations were assumed by the city. Since then the airport has evolved from tax-supported to a self supporting operation offering services ranging from fuel sales, corporate hangers, private hangers, Care Flight hangar, and a full service restaurant. The museum is open Saturdays 10:00 am until 1:00 pm during the summer or by special request. It houses one of Grimes' C-45H aircraft with over 75 different lights on it. The museum can be booked for special events, and the aircraft often flies to airshows around the country.